I have gone through several luxury travel experiences from all over the world in the past 4 years, and my time with India’s famous Maharajas Express train has been the most recent adventure that left me at a loss for words because I was just so inexplicably awestruck. Of course this was my first ever rail journey, so I have nothing to compare it with — however, even with that fact, it was pretty clear to see that the train trip I did with them was an epitome of India’s lavish lifestyle that’s wholly reminiscent of how royalty or ‘maharajas’ were treated! TRIVIA: The word “Maharaja” is Sanskrit for ‘great ruler’ or ‘high king’ and it was the title that was used to refer to those who ruled states or empires in India in the past. Nowadays, the maharajas have lost their official powers ever since India gained independence in 1947; nevertheless, their wealth remained and most of them have turned into powerful businessmen instead, with some royal families or clans turning their palaces into hotels, museums, etc. 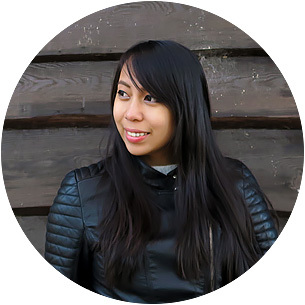 (*whispers* Thank you, travel blogging. *whispers*). 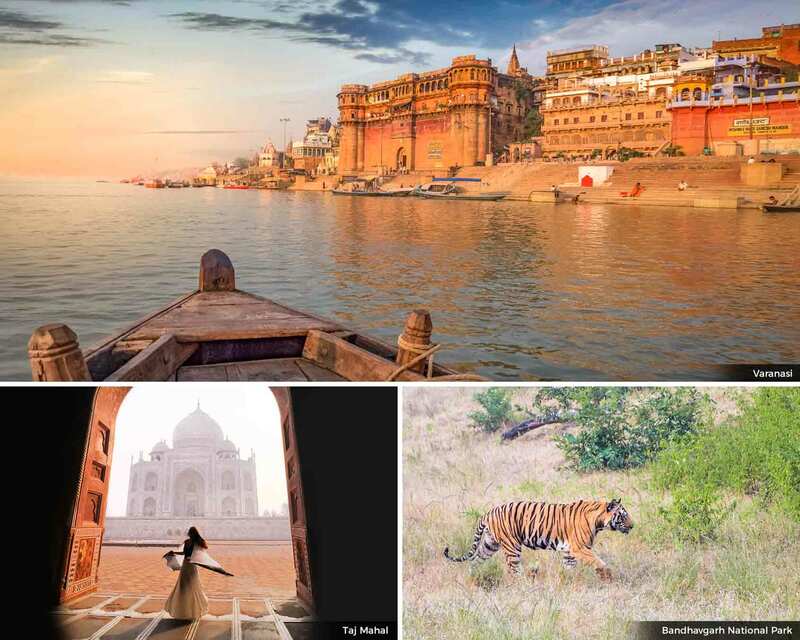 Now of course, it’s no news that India is a melting pot of captivating beauty and organized chaos, with travelers choosing to experience either the country’s grit or lux — or a mixture of both. I already had the chance to see India’s gritty side when I did my 1st visit, so this train journey with the Maharajas Express was a welcomed change of pace that offered more comfort and ease. Besides, I can assure you that though the whole journey was filled with grandeur, I still got a taste of India’s enthralling and rugged sensory overload! If all of what I’m saying still doesn’t convince you enough, then continue reading on below to see the top 10 reasons why you absolutely should consider traveling in India by riding their most luxurious train — the Maharajas Express! Come and check out my list of the ‘Best Hotels in Delhi‘ which features the top recommended choices for cheap to luxurious accommodation choices. It’s no joke when the World Travel Awards grants the accolade to a train company as being the ‘World’s Leading Luxury Train’, and for 6 consecutive years at that! Supervised by the Indian Railways Catering and Tourism Corporation (IRCTC), the Maharajas Express actually launched just last 2010; and come 2012, they have gained this prestigious recognition from the World Travel Awards along with some other distinguished merits in the following years from Conde Nast Traveler, CNBC, Seven Stars, and more — and I bet that the rewards won’t be stopping anytime soon. So yes, you’ll have a grand and elegant time with the Maharajas Express as the world’s costliest train and Asia’s most luxurious rail journey! If you don’t believe me, at least you should be able to believe the recognitions given by these prestigious international authorities, magazines and tourism councils. 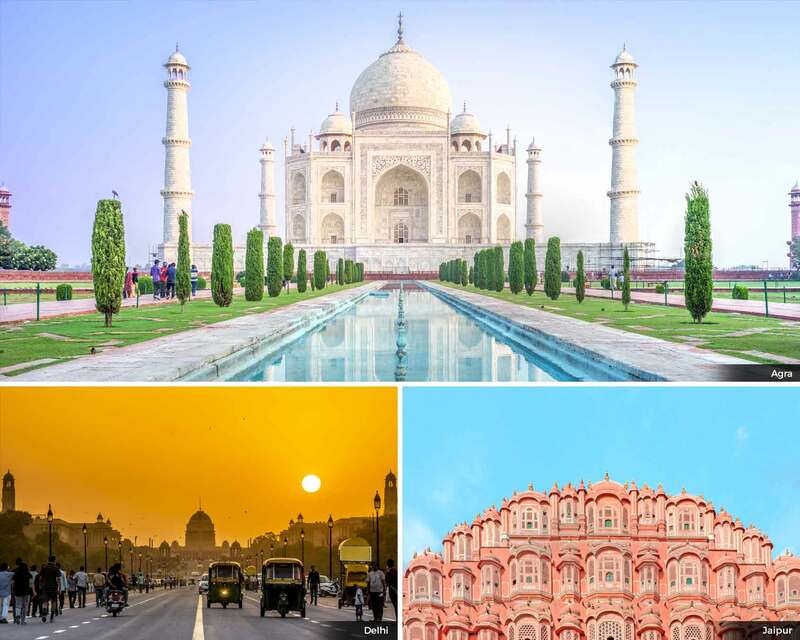 I had the amazing opportunity of going on the “Indian Panorama” circuit which primarily lead us to the country’s famed ‘Golden Triangle’ that passes through Delhi, Agra and Jaipur. Now, looking at all these 7 journeys, I find it quite ideal how they all start and/or end in Delhi or Mumbai because given that these are 2 big cities, it makes for a prime location when it comes to arrivals, departures, connections, and transits! Depending on the train circuit that you choose, it is a guarantee that you will have an exciting blend of experiences all throughout your trip! Truth be told, as a part of the base price that you pay, each destination stop would typically involve one to three excursions that will immerse you in the top activities, attractions, and highlights possible. Not to mention, you’ll be accompanied by an expert guide that will both entertain and educate you of India’s splendour. (Rest assured, they will also give enough free time for everyone to wander off on their own!). Though if in case you still want to spice up your days with even more activities — or if you rather want to focus on a certain ‘thing to do’, Maharajas Express offers optional special excursions as well at an added cost. These can range from traditional spa treatments, golf visits, art workshops, guided shopping sprees, cultural shows, etc. Sure enough, the possibilities are endless for you! NOTE: All entrance fees to any sites are included in your base train journey price. The best description that I can give for the whole of the Maharajas Express train is that is basically a royal palace on wheels that gives every guest an insider look into the past lavishness of Indian royalty! 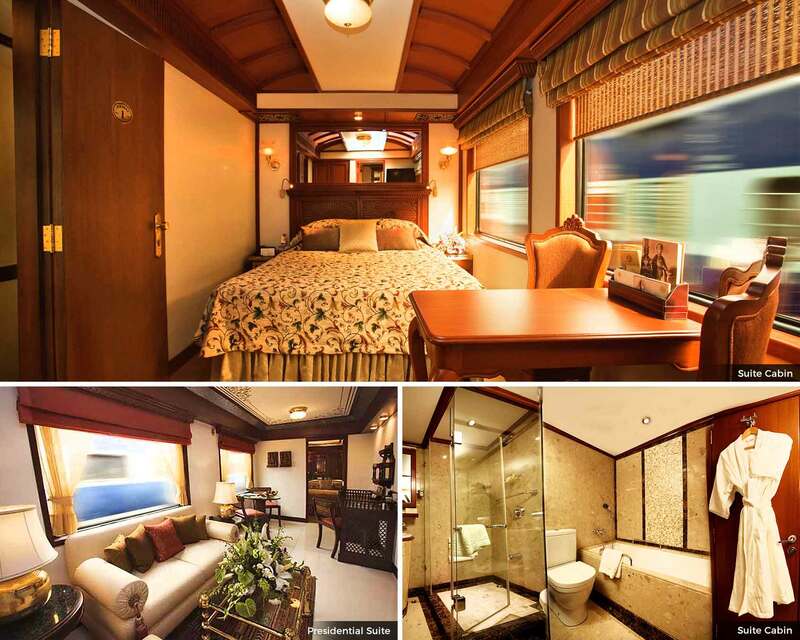 As a newly-built train with modern fittings, Maharajas Express has a total of 23 huge and spacious carriages that combines accommodation cabins, 2 bars (with couches and game areas), 2 restaurants, generator rooms, and storage areas (for autos/cars, etc.). In fact, the whole train is a kilometer long and quite spacious too! Refinement of the olden times is exuded across all the 4 cabin classes (totaling to 43 rooms) that the Maharajas Express train has, giving each guest the chance to enjoy all of what would normally come along with a stay at a 5-star hotel. Therefore yes, each room has a bathroom with water heating, complimentary toiletries, towels, hairdryer, bathrobe + slippers, LCD TV with satellite connection, DVD player with FREE movies, centralized air conditioning, Wi-Fi, electronic safe, closet, telephone, and work desk. NOTE: I was surprised how the rooms didn’t feel too cramped at all! They really paid a lot of attention to detail in order to make everything seamless yet lavish. As for Wi-Fi, it can get patchy in the rooms especially when the train is transiting; however, it was amazing that the WiFi at the bar areas continuously remained strong even if we were moving! If you’ve been a reader of my blog for quite a while now, you would know how I regard the Philippines as being the best in hospitality (no bias), and now that I’ve come to India, I find that they’re a strong contender for this! After all, every personnel or staff that I met at the Maharajas Express exuded warmth and kindness. And oh, don’t get me started with my amazing private butler! …YES, we each had our own private butler that answered to our every whim, 24/7. My butler’s name was Singh (3rd man from the left in the photo above) and I’m not kidding when I say that from the moment I met him, he treated me like I was the most important person in that train. Now I’m no ‘diva’ and I rarely have any specific needs (I got the ‘I’m a strong & independent woman’ vibe going on); but… with how attentive Singh was, there were times that I felt bad at how I didn’t give him enough instructions or requests throughout my stay (haha jk). Anyhow, may it be wake-up calls, setting up of daily tea times in your room, or being up-to-date on the activities — you name it, your butler will take care of it, all in order to make you feel like a royalty that’s “at home”. You will bask in lavishness inside the Maharajas Express train, and once you step out of it, you’ll be basked in lavishness even more! It’s an indulgence, for sure. For starters, my feet always stepped on a red carpet whenever I got off the train. Flower confetti was spread around, garlands (called as “malas“) were wrapped around my neck, lively music wafted through the air and sprightly dancers welcomed us with gifts and smiles. As a matter of fact, I received so many gifts in all of the destination stops that I kept joking on how I didn’t need to buy souvenirs anymore due to the number of trinkets and scarves that I was receiving! (And I really didn’t, haha). Meanwhile, when it was time to get back to the train, most of the staff and all the private butlers are lined up to welcome us back with fresh towels and water. Aaah… it was bliss! Maharajas Express has 2 themed fine dining restaurants that offers varying cuisines for the guest’s fancy and can accommodate up to 42 guests each. It helps to note that all meals are included in the train price and you are even free to order drinks or wine pairings at no extra charge. I’m not much for drinks, but I’m a big eater; so, everyday was like a feast for me as I continuously indulged in delicious Indian thali and desserts! (Of course, there are different Western and other Asian cuisines available that the on board chef can whip up for you). Mayur Mahal: Translated as ‘Peacock Palace’, this restaurant is named after India’s national bird. It was cozy and has a mixture of 2-person and 4-person tables. Rang Mahal: This ‘Palace of Colors’ is predominantly in green and gold hues, and I personally loved its lush interiors and hand-painted ceiling. In line with the maharajas treatment, you will find that the plates all have real gold edges and the glasses are even made by Swarovski with exclusive hand-cut stones… it was insane! Most meals are take on board the train but as dependent on your train journey’s destinations, there will be times wherein you will be dining outside — and when you do, you will either be eating in the famous Taj group of hotels or in past royal palaces. For instance, during my ‘Indian Parnoama’ circuit, we had a champagne breakfast in an outdoor garden of a luxury hotel that was overlooking the majestic Taj Mahal in Agra! There was even a night in which we had a barbecue buffet dinner in the courtyard of Jaivilas Palace in Gwalior, and another night wherein we had Awadhi lunch along with live Kathak Dance performance. To say that every meal was a feast for the senses is truly an understatement! Previously, I have mentioned how we received gifts in every city stop that we did with the Maharajas Express, and as if that wasn’t enough already, in the end of our train journey, we were all surprised with a FREE gift of traditional Indian clothing such as sari (drape-like dress) for women and kurta (knee-long jacket) + churidars (pajama-like pants). I have always wanted to own a sari for myself so this was a really great surprise! The fun doesn’t stop there because in the Maharajas Express train, everyone can drink anything at NO extra cost. So that can be bottled water, juices, teas, coffees, mocktails, and house brand alcoholic beverages (wines, spirits, beer, etc.). There are only a select few brands of alcoholic beverages that you’ll have to pay for — but basically, you’re free to drown yourself with all the kinds of drinks that you want everyday! Ain’t that a treat? Most of the luxury experiences I’ve done such as cruises usually don’t included drinks in their base price so this was a great addition on the inclusions. Are there other luxury trains in India? 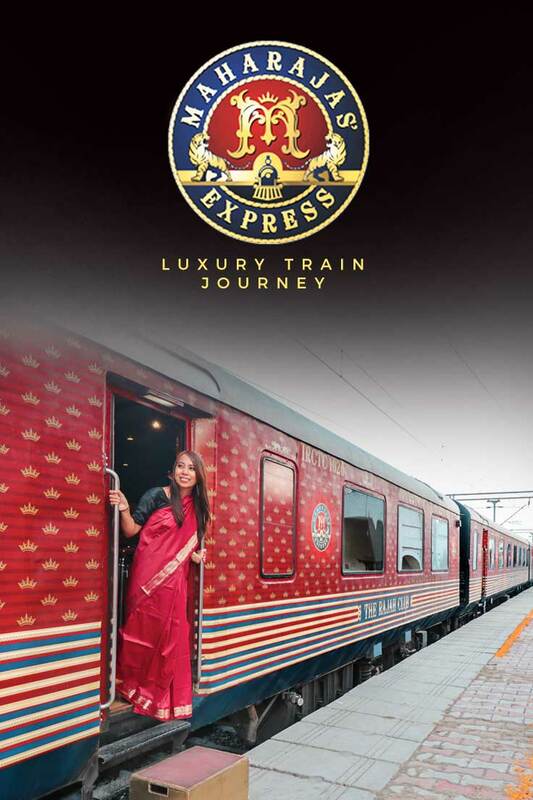 It helps to note though that Maharajas Express is the newest of them all, yet the one with the most local and international awards. The others are, of course, worth trying especially since they often explore other destinations but as a start, I would highly recommend that you try Maharajas Express as your first India luxury train journey. How much are each of the 7 train journeys that Maharajas Express has? The prices below are as of January 2018 and based on the basic deluxe cabin for 2 persons. To book, just go here. What to wear during the Maharajas Express train journey? – Wear smart casual clothes inside the train. You do NOT have to wear formal clothing (well… unless you want to, then sure!). – Make sure to pack a jacket especially if you’re going to visit wildlife safaris because mornings are usually cold. – If you’re taking a train journey between middle of December to middle ofJanuary in Northern India, weather can get really cold and foggy. – Naturally, during summer, wear lightweight cottons and linens when going out on excursions. It’s also best to cover your shoulders and knees when your excursions include a visit to a temple, for instance. India is obviously a huge country so weather patterns are not the same for every state; and thanks to the Himalayas acting as a natural barrier too, regions can get extremely cold extremely hot at the same time. Anyhow, visiting the country sometime during October to March is ideal especially if you’re eyeing the area around the Golden Triangle because though it may be warm, the temperatures are more moderate and tolerable. Where to get the best flight promos to India? How to change your money into Indian currency? India’s currency is called as Indian Rupee (INR). I highly advice that you do NOT exchange your money at the airport since the rates there are totally not competitive. What should you rather do? Either exchange your money or US dollars at a bank or at a money exchanger in your home country or in any of India’s major cities; or better yet, just withdraw from an ATM with your debit/credit card. DELHI = See here a complete list of best Delhi hotels. MUMBAI = See here a complete list of best Mumbai hotels. Should I get a visa to visit India? Most nationalities worldwide are eligible for acquiring India’s E-Tourist Visa which is fairly fast to acquire. To know more about this, read my guide on ‘How to Apply for an Indian Visa Online‘. India has 22 official languages amidst a thousand of different other languages that are being used in the country. Anyhow, the most spoken languages would have to be Hindi and English — so you’ll have no difficulties conversing in English with the locals (especially when you’re in major cities). But of course, it doesn’t hurt to learn a bit of Hindi. Is there someone here who speaks English? : Kyā kisī ko aṅgrēzī ātī hai? There are definitely many ways of discovering incredible India, but if you want to travel in utter comfort, luxury, and style without missing out on the full lush and grit of the country, a train journey with the famed Maharajas Express should be on your ‘things to do’. To say that I had a magnificent time with them is an understatement and I’m sure that you’ll love it the same way that I did! DISCLAIMER: The whole trip was sponsored by Incredible India and Maharajas Express and I’m absolutely thankful for this grand opportunity. Rest assured, as always, all thoughts that are expressed in this article are fully my own. 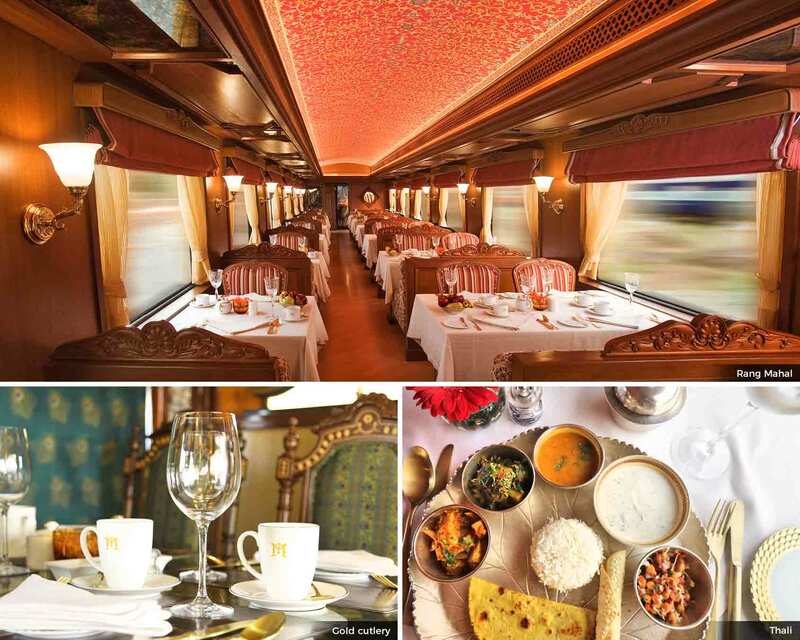 (Some photos are also from the Maharajas Express website). What do you think of the Maharajas Express? Would you like to try out their luxury train journeys? Why or why not? Actually, This train is amazing. That is the special thing for them to come in the train VIP Person in India. Very well furnish and good interior in train. You share the information is really awesome and great going. This is really amazing and beautiful train in India! You will be treated like a queen or king there. I really love this train so much. Stunning pictures! I hope I get to hop on this luxurious train someday. Everyone always thinks of the Orient Express. I had never heard of this. Thanks so much. I love the rooms and the dining room. I can't imagine how nice this must have been! True! I was also surprised to find out that this was the most luxurious train in the world — and now I know why! Wow I would never believe this was a train! How luxurious and beautiful! It really is like a palace and a private butler? My goodness! It sounds like you had a trip of a lifetime! I truly have! It was absolutely luxurious and a once-in-a-lifetime experience!